Ephemera is material produced with a short intended lifetime such as pamphlets and posters. It is often the only record of an organisation, event or activity. The Library's ephemera collections assist in building a visual and written record of South Australian society from 1836 to the present, reflecting the social customs and etiquette from the early days of the colony. The Library's collection of ephemera consists of a number of distinct categories such as badges, bookplates, business cards, calendars, fans, greeting cards, menus, postcards, posters, sheet music, wine and beer labels. 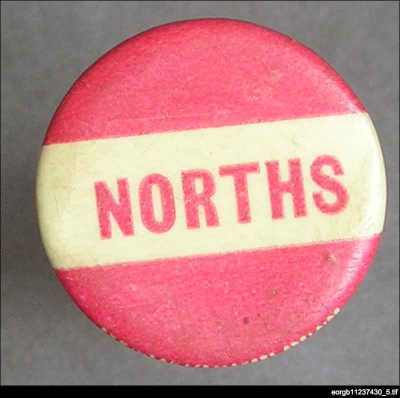 With the exception of menus and wine labels, all items held in the ephemera collection are South Australian. Listed below are details of the largest ephemera collections kept by the State Library. Only a small proportion of ephemera have been indexed or catalogued, but staff at the Information Desk can help locate items from each of the collections. Because they are held for preservation purposes, items from ephemera collections are required to be used in the Somerville Reading Room. The calendar collection provides a glimpse of the style, fashions and entertainment of the past. The oldest calendar in the collection dates from 1889. The collection is a valuable illustrative resource for those researching the social customs of this state, and provides an excellent source of visual materials for display. Calendars can be searched by the name of the organisation, or by using the subject heading 'calendars' in the Library catalogue. The South Australian theatre program collection covers drama performances, ballet and modern dance, classical and popular music, held in South Australia, mainly in city venues. Many items relate to performances from the period after 1900 but there are a considerable number of earlier programs in the collection. 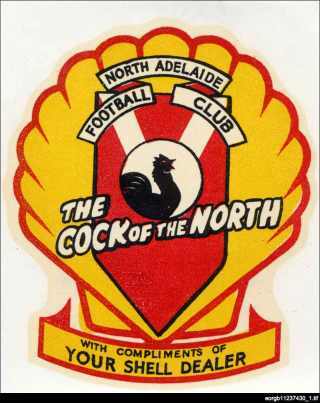 Related brochures, flyers and publicity material can be found in the South Australian organisations ephemera collection under the name of the issuing body. The collection is an outstanding source of material relating to the Adelaide Festival of Arts from the first Festival in 1960. Other interesting collection items include programs from Anna Pavlova's first visit to Adelaide in 1926, programs featuring performances by famous South Australian tenor, Peter Dawson, programs relating to performances by well known companies and performers such as Sir John Gielgud, Paul Robeson and the Bolshoi Ballet. The South Australian theatre program collection is arranged by venue or company, whichever has the strongest South Australian link. A card index lists each venue or company represented, but does not list individual programs. There is also a card index by both performance and title of performance available for programs acquired up until the early 1980s. Some items from the collection can also be searched on the Library catalogue by venue, performing body or major performers, or by using the Library of Congress Subject Headings 'theater programs' or 'concert programs'. Staff at the Information Desk can help you access this collection. The poster collection includes items dating from 1850 and covers a wide range of subjects with a South Australian interest, eg posters relating to the Australian Formula One Grand Prix when it was held in Adelaide, and to the Adelaide Festival of Arts. A two-volume printout listing posters the Library acquired between 1960 and 1993 is available at the Information Desk. The Library's collection of menus include South Australian, interstate and overseas menus. The oldest menu in the collection is for a banquet held at Government House in October 1867. Menus can be searched on the Library catalogue by name of restaurant or hotel, by locality, by organisation name where the menu is for an event, or by using the subject heading 'menus'. Wine labels can be works of art in themselves, and may contain valuable pieces of information, some of it technical, that may be difficult to trace elsewhere. Since 1972 the State Library has been collecting wine labels, mainly South Australian, but also from interstate and other parts of the world. There are currently about 10,000 labels in the collection, which can be accessed through the Information Desk for use in the Reading Room. Over 250 of these labels are digitised on the Library's Wine literature of the world website under the theme Sip and Sup. The Library's collection allows a historical overview of the development of wine label design. One of Australia's earliest-known wine labels which stated that the bottle contains 'Australian wine' from the 'Camden Park' vineyard in New South Wales of 'James and William Macarthur'. This attractively-designed label is circular, with a vine covered in bunches of grapes as a border, and room enough for more specific information to be added by hand if necessary. While there are private collectors of wine labels, or vinititulists, all over the world, there are apparently few institutional collections of any note. Many additions to the collection since then have been made by individual consumers, and the Library welcomes donations of wine labels. As well as labels from the major companies there are labels from small wineries, some of them taken over, others no longer in existence. Some proudly proclaim that it is the maker's first release, others sadly that it is the last. There are also labels from amateur winemakers as well as from private bottling groups - many of these labels are entertaining in words as well as pictures, even slightly risqué. A major boost was the gift of the impressive collection of art work for wine labels and packaging by Adelaide's Wytt Morro who designed work for many Australian winemakers from the 1950s on. Wytt Morro was responsible for what are probably the most beautiful wine labels designed and printed in Australia - those used to distinguish the bottlings of eight selected vintages, from 1949 to 1956, of Woodley Clarets. The Library's collection of wine labels shows how design and information, as well as nomenclature, have changed over the years. Labels have been commissioned for particular occasions, ranging from individual birthdays to national conferences, centenaries of towns and the opening of bridges. A variety of images adorns today's labels - birds, flowers and landscape paintings are particularly fashionable. There are other problems in wine labelling, particularly relating to areas of origin and percentages of grape varieties, with which the industry continues to grapple.